This is a simple recipe using chorizo instead of ground beef to make a flavorful nacho recipe. The chorizo is perfect over ground beef due to its preseasoned flavorings, that just require some frying to bring out the spices and chilis and make this meal more complete. 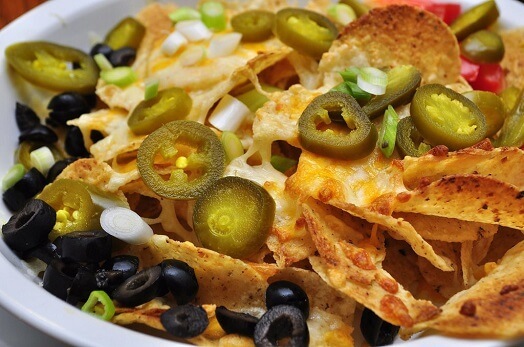 Add them to your favorite tortilla chips, add some cheese and garnish with green onions to complete the entire dish. Add in some white wine to give it some extra flavor while cooking the chorizo.